It is always exiting to see your work published in one of those beautiful wedding blog in the U.S. 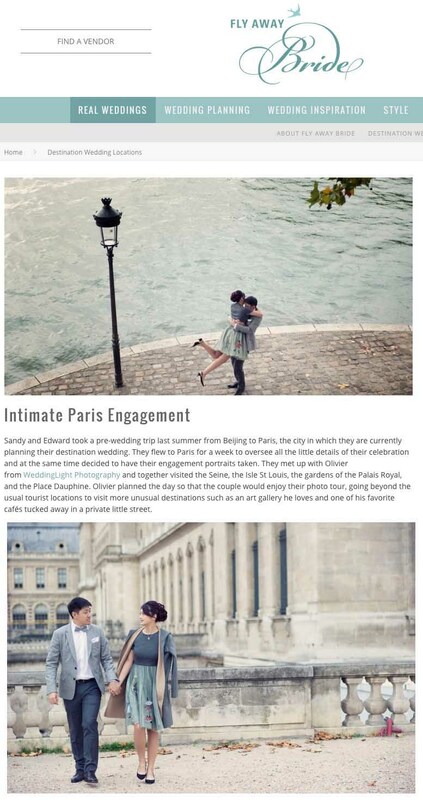 Thanks to Fly Away Bride, a few photographs of a cool engagement photo session that I shot in Paris only a few weeks back. You can of course view a few more photographs in our blog as well! It is a lot of fun to take a couple around Paris for some gorgeous photos.